I got this skirt back in September and I totally forgot about it. I am really loving all things red lately, so I was so happy I remembered this skirt. Red just goes with so much it is such a great color for Fall, Winter and of course all of the holidays. I am really wanting a red bag, I just can't decide which one I want. 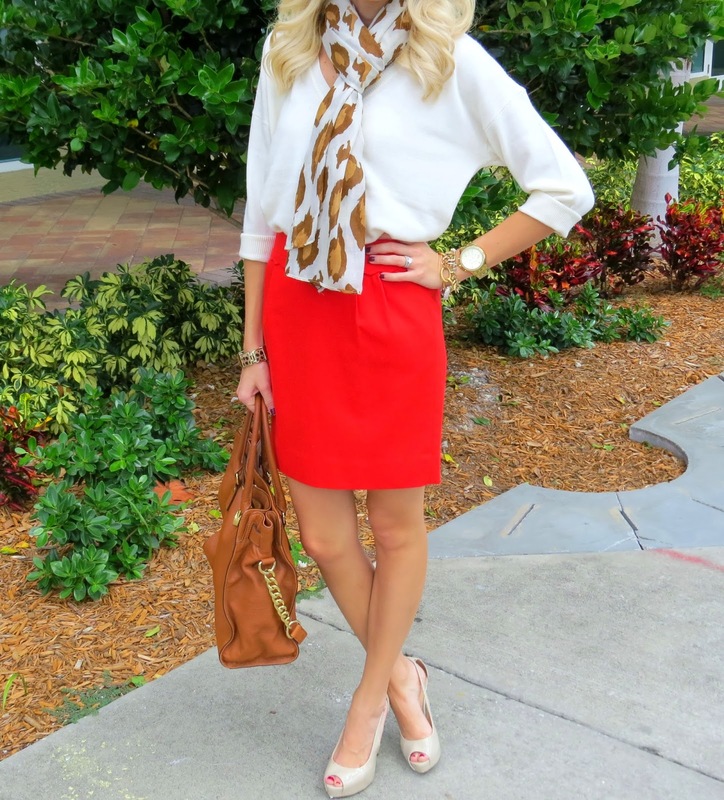 Red and leopard has always been one of my favorite combos. I am so excited about this scarf from A Cut Above Boutique. I love that it isn't just your typical leopard print. I guess it is really more leopard spots. But I love that it is different. It goes with so much (I consider leopard to be a neutral) and I plan on wearing it a lot in the upcoming months. I love the bright skirt...Looks amazing with the neutral sweater! i was in love with that skirt as soon as i saw it but never bought it, love the scallop detailing!